Surface sampling and aerial surveys conducted over a 14-month period in 2015 and 2016, as well as computer modeling, show the patch is four to 16 times bigger than previous calculations. The Great Pacific Garbage Patch is likely much bigger than scientists and conservationists previously thought and growing rapidly as more plastic ends up in the world’s oceans, according to a new estimate by European researchers. 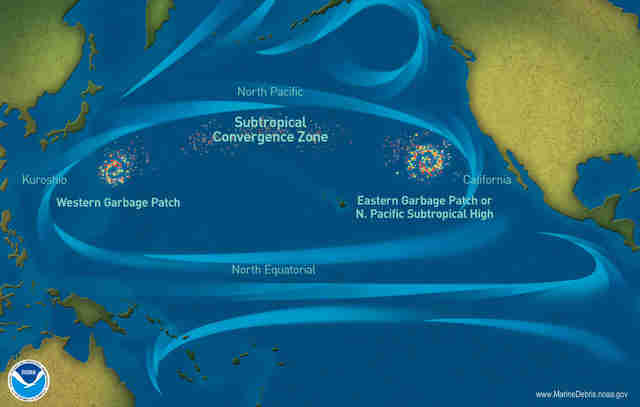 The patch is in an area of ocean between California and Hawaii called the North Pacific Subtropical Gyre — a kind of swirling dead end for Pacific currents, which have been depositing floating plastic trash there for decades. Now, an extensive survey of the region estimates it holds about 79,000 metric tons of floating plastics — everything from thick tangles of fishing line to tiny fragments of old soda bottles. Laurent Lebreton, an oceanographer and lead author of the new study, told Seeker the survey also provides new insight into the makeup of the patch. The overwhelming majority of the debris — an estimated 1.8 trillion pieces — are plastic fragments and fibers smaller than 5 millimeters. They’re mostly the result of larger items breaking down in the elements. But those pieces make up less than 10 percent of the total weight of the garbage patch. 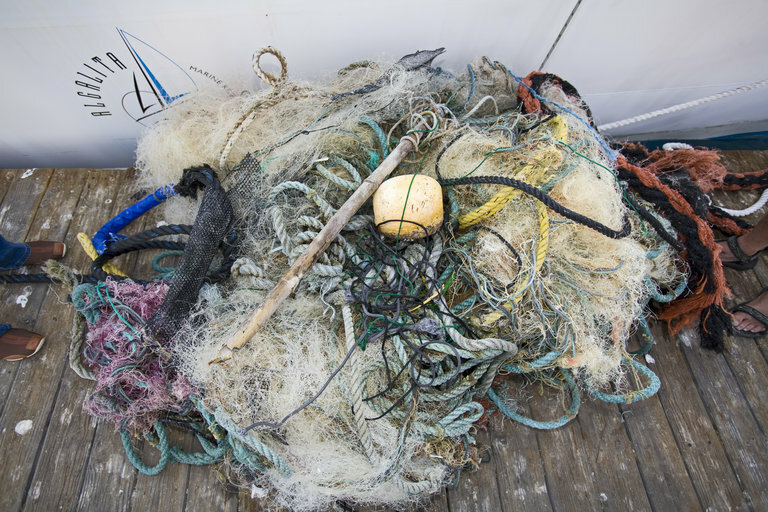 Nearly half of the mass comes from fishing nets and line lost or jettisoned by trawlers, which clump together and collect other floating trash along the way. The trash is spread over an area about 1.6 million square kilometers — roughly 1,300 by 1,300 km (800 by 800 miles) — with the bulk of it concentrated toward the center. The findings, published March 22 in the research journal Scientific Reports, were based on surface sampling and aerial surveys conducted over a 14-month period in 2015 and 2016, as well as computer modeling. The new estimate is four to 16 times bigger than previous calculations, including one Lebreton produced himself. But he said earlier studies were conducted from the surface and likely underestimated the amount of large debris. “We said, ‘Instead of trying to observe large debris from observers on vessels, let’s try to fly above it and get pictures and come back with a more precise estimate of the large debris,’ ” he said. The patch is growing as up to eight million tons of plastic washes into the world’s oceans a year, the United Nations estimates. That plastic is a hazard to marine life: Fish and other sea creatures can mistake the indigestible polymers for food, while hazardous chemicals can latch onto plastics and accumulate up the food chain when they’re consumed. Lebreton said he hopes the findings will help convince people to take action to reduce their consumption of plastic, particularly those items that are discarded after a single use.